The doctrine of the ‘Body of Light’ is replete throughout Western esoteric literature. Unfortunately, while many references are made to the concept, little information is supplied regarding its origin (or formation), stages of growth, and applications. 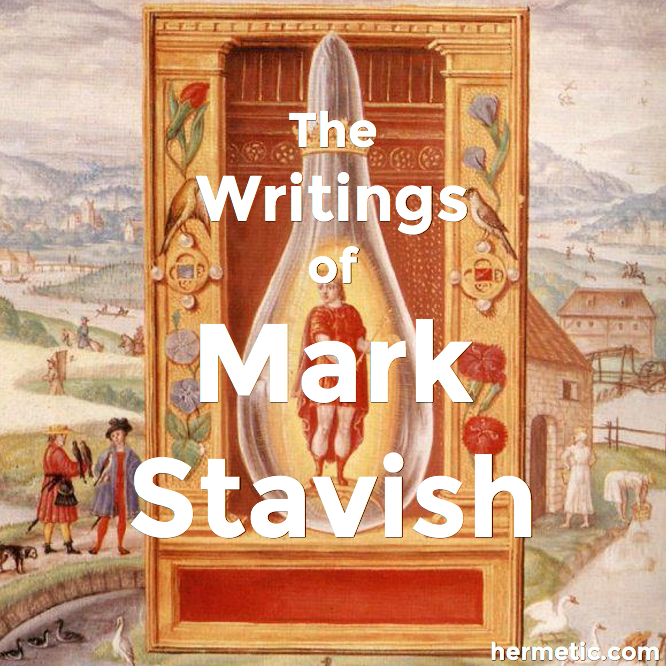 The purpose of this document is to supply qabalistic and alchemical students with a workable esoteric theory, and practical technique, regarding this often obscure subject. The origin of the “body of light” is seen in gnostic literature as early as the first century. However, extensive documentation and theory exist in Chinese, Mongolian, Tibetan, and Indian literature and practices of an earlier date. Under the general heading of chi kung, or Chinese internal alchemy, these practices are designed to create and mature a body of subtle astral and etheric energy that is capable of existence independent of material consciousness. This body is also thought to be capable of infusing the material body with sufficient energy to allow it to become more subtle and ‘etherial’. This ‘etherialization’ is said to make the physical body, under the direction of the adept, capable of de-materialization at the time of death. Enoch, Ezekiel, the ascension of Jesus, his mother Mary, and even Mohammed with his horse, are often given as examples of this form of dematerialization in Western spiritual literature. Unfortunately, while Eastern systems have maintained a working technical tradition of the theory and its application needed to achieve this goal, little information remains in the West of a similar nature. The idea of the ‘simulacrum’ is the closest we have, and may very well be the starting point of such experimentation. It can be seen from the Eastern literature available, that the idea of the “Body of Light” often called the “Rainbow” or “Diamond Body” is the perfection of a vehicle for the exteriorization (projection), and continuation of consciousness beyond material reality. This paper will attempt to show how the development of this body can be achieved through existing qabalistic practices, and that the stages of its growth corresponds to total realization on the Lunar (Yetzirah), Solar (Briah), and Saturnian (Daath) planes of consciousness. It is important to realize what is meant by these ‘planes’ however, as they can be confusing when first encountered as an esoteric teaching. When the Cosmic created the universe, humanity, or the ‘human seed’, that aspect of consciousness which was to grow into realization of godhood, descended from primal unity. This unity is symbolized by the Divine World of Atzilooth, and the Holy Upper Trinity in the Tree of Life. As the descent continued, the human seed experienced progressive levels of sexual polarization as well as being further removed from its memory of Divine consciousness. After the level of Divine Harmony in creation, or Tiphareth, the center of humanity's sense of self, an additional barrier was created, the Veil, or Paroketh. This is the appearance of individuality free of the Divine spark. Ms. Ashcroft-Nowicki further states that the Body of Light can acquire a kind of ‘self consciousness’ after a period of development. This idea is also stated in Tibetan and Chinese literature. The small ‘child of light’ is often compared to a fetus in the astral womb of the practitioner’s aura and temple. It must be matured, fed, educated, and grown to proper strength so that is can be a help to the magician and not a hindrance, or even potential danger. However, like in all occult activity, dangers come more often from rushing through preliminary work instead of allowing it to proceed in a healthy and natural pace, than from the exercises themselves actually being psychically dangerous. She also goes on to say that few Western magicians have ever been able to master the technique fully, although no reasons are given. When we attempt esoteric exercises and a return to Primal Unity, we must pierce the first Veil, or that of the Gate of Life and Death. So called, because few people pierce it except during near-death-experiences (NDE’s), Out-of-Body experiences (OOBE’s), or physical death itself. The astral body has access to three levels of consciousness, and then must be shed, encountering the ‘Second Death” in order to penetrate the Veil, or Paroketh, to the next three levels. However, precautions must be undertaken to avoid the destruction of the astral body if the Second Death is to be avoided. If this is not done, then it must be reconstructed with a new birth. It is possible, as this paper will attempt to show, that just as there is confusion among some students regarding the Body of Light as being the astral body, there may also be confusion regarding its actual purpose — that of extended consciousness, or ‘surviving the Second Death’. When its function is clearly understood, then greater attempts can be made to realize its full potential. GRS Mead wrote a booklet around the turn of the century titled, The Doctrine of the Subtle Body in the Western Tradition. It very well may be one of the few books dedicated to this subject available, and while it is full of scholarly research regarding the theories and beliefs regarding the subtle body, it lacks any description of the techniques used to experience it. The material quoted is almost exclusively Gnostic-Christian in origin. Mead also states that Zosimus states catagorecally that the Rites of Mithras were identical in purpose to the practices of alchemy, and is the only complete ritual of the Mithrian cult that has survived to present time, and its theurgical practices are similar to Indian yoga. (p.30) The ritual also states clearly that it is the method whereby spiritual perfection and birth of the subtle body are attained. As in the Sepher Yetzirah and the Golem, the body of Light is often suggested. The three basic ideas around the subtle body are that it progresses though the levels of the spheres, increases in power and purity, and is made of light and/or fire. It is described as : the spirit-body, the radiant body, and the resurrection body, depending on its degree of purity. Mead points out that there is the possibility of extreme confusion when reading the ancient literature and the vocabulary used to describe the spiritual body. Despite appearances to the contrary, Mead asserts that the spiritual body is essentially one, and that the sidereal body, has nothing to do with today’s (1919) astral body. The Spirit-Body, orsoma pheumatikon, is the force closely aligned to the physical body. Similar to the nephesch, or vegetative-animal soul, in Jewish Qabalah. “Moreover, the radiant vehicle (augoeides ochema) [corresponds] with heaven, and this mortal [frame] with the sublunary [region]”. The descriptions of these accounts, Elijah and Jesus, suggest that the bodies they inhabited were the same, and yet not the same. They were tangible, yet could overcome material limitations, such as Jesus’ passing through the locked door. Elijah, unlike Jesus however, did not die, but was taken into heaven bodily in a chariot of fire. The technique suggested by Ashcroft-Nowicki is the simplest and most direct. However, while no specific rituals are employed, as in A.S. method, it is suggested that the ritual be performed in a consecrated temple to prevent the simulacrum from wondering. She also states that when the B.O.L. is sufficiently developed to begin to desire acting on its own, that it should be given firm disciplining. Yet despite these warnings, and problems, the creation of the BOL, even partially, can be a very rewarding psychic and spiritual experience. It offers many avenues for psychological cleansing, as we shall see, and psychic enhancement. What is missing in the modern accounts, but clearly stated in the Oriental ones, is that the BOL is a superior being to physical world, and can be directed to have effects on the physical body, if they are desired. It is these effects which allow for the etherialization of the physical body, increased health, longevity, and possibly even a kind of ‘psychic mutation’ that allows for increased psychic activity along family lines. The Western schools are silent about what the implications of the Hermetic axiom, “The subtle rules the dense” and how it might apply here. Despite the projective imagery, the genuine sense of the simulacrum being ‘other’, and unconscious, often violent imagery that can be dredged up from a nephesch (subconscious) that doesn’t want to be integrated into the workings of the ruach (Mental-Spiritual functions), the BOL is still a part of us. By disciplining it, giving it function and purpose, and guiding it with a firm hand, we are in reality giving those things to our self. The simulacrum however, shows us in no uncertain terms, that these forces and ideas within us, left unregenerated and when given the opportunity, will seek to manifest, and to take on self-consciousness. In magical work we see this clearly in the creation of the BOL; in psychology in neurotic and schizophrenic behavior; and even in severe forms of psychosis. Esoteric work allows us to address these diverse aspects of our being, to integrate them, and in doing so, to prevent psychic ruptures that might otherwise manifest in modern terms as mental illness. The following method can be performed by anyone regardless of their level of experience. Ideally however, it would be best if it is done during the third or fourth year of qabalistic study. The reasons for this are simple: the more experience you have in psychic and occult matters, the easier it will be to achieve noticeable success. In addition, the required skills of concentration, visualization, and creating a strong working environment for psychic activity will have become second nature. In relation to what has been said previously, by the third or fourth year of study, the aspiring qabalistic magician will hopefully have worked through some of their more obvious psychological issues, as seen and experienced through the multi-colored glasses of the Lesser Pentagram and Hexagram Rituals. Previous experience with planetary invocations will make some of the following instructions easier. For those who do not belong to any formal course of study, it is generally suggested that the first year of activity be spent learning Elemental and Pentagram work. The second year doing planetary work; with the third year being spent integrating the two. The fourth year often focuses on zodiacal magic and the completion of any Pathworking. Pathworking can be started anywhere from the first year on and requires about 1 1/2 years to fully do all of the 32 Paths of the Tree of Life. Since each Path is often done more than once, it is best to allow two to three years for this additional aspect of magical training. Pathworking, particularly Paths 32 through 24 are critical for psychological health and should be done two or three times before doing the second set of Paths, or 23 through 19.5) Of course, the speed at which one works is not important. It is better to go slowly and diligently and make real progress, than to rush through and simply do the work haphazardly. The most complete method available for creating the Body of Light is in the ritual called “The Magician” in Mysteria Magica, vol 3 of The Magical Philosophy by Melita Denning and Osborne Phillips.6) The material belongs to the curriculum of the Aurlem Solis Sacra Verbum. The ritual is divided into five main sections, composed of fourteen distinct parts in total. A note belonging to the title suggests that the ritual is considered most effective when performed at the beginning of the day. Presumably, during the first planetary hour of the day. Among the most important points in gnostic and Platonic literature is the need to separate the subtle body from the physical body for its purification. This imagined, and eventually real separation, forms the core of the technique. Only by freeing the psychic self from the constraints of material life can we experience the full degree of good and evil in our psyche. The methodical and militant purification of our psyche and integration of its diverse aspects constitutes the most difficult, and rewarding, psycho-spiritual practices known. Place your left hand, the hand of Mercy, upon the Earth Pantacle. Invoke the presence of your Higher Self. Imagine in brilliant phosphorescence a flaming sphere, or flaming yod, touching your crown and uniting you with the cosmos. Stand in the posture of the Adeptus Minor. (Tau Cross, arms outstretched). Lower arms and meditate on the significance of your Higher Self, this flame of Creation within you. This cosmic seed. Perform the Middle Pillar exercise. Affirm your intentions for performing this exercise, and appreciation for consciousness and the opportunity to develop in awareness and Service. Ask that Light, Life, and Love be expressed in every cell, thought, and action of your being. Turning clockwise, face the West of the Temple. Pause and imagine the great streams of energy circulating through your physical and psychic bodies. Energize your heart center, feeling a stream of energy running from your crown to your heart, and feet, and back up again. Affirm your position of authority over your lower self and physical body in a loving, but firm manner. Be thankful that they are present to serve you, but that they are at the service of the development of Self, and not as independent beings. Assume the position of the Adeptus Minor, and imagine yourself growing to a vast and immense size. Maintain or reformulate your Flaming Crown center. Feeling most of your consciousness operating from inside of it. Send thoughts of blessing, love, good health, and well being to your lower self and guph. Pause for a few moments as the feeling of vastness disappears and you return to normal awareness of the temple. Turn to the East and ask that the Powers of the Higher Self be present and fully utilized for this operation and at all times forward. Move to the eastern Quarter and Face the West again. Perform the Middle Pillar a second time if needed. Project the simulacrum from the solar plexus, upper abdomen region. Have it facing East, or toward the operator, with the silvery-bluish cord visible between the simulacrum and the operator’s abdomen or solar plexus. In the Name of your Higher Self, address the image before you firmly and lovingly that it is to give your full assistance in the Great Work. If any particular instruction, assistance, or additional work is needed, it is to be interjected here. Give blessing to your Nephesh, in the Name of the Most High, and thank it for its participation in this ritual. Energize and imagine the simulacrum attaining a high degree of integration. Re-absorb the simulacrum and the silver cord by imaging it return to a cloud or mist of bright bluish-gray or silver psychic protoplasm and collapsing backward along the cord (bring the cord with it) into your body at the level it was projected from. Close down firmly. Feel the energy move throughout your body and sink deep into your muscles, bones, marrow, and envelope you in a body of light, just below the surface of the skin. Rejoice in the successful operation. After a two or three weeks of successful projection and reabsorbing of the simulacrum, you can begin projecting specific ideas into it. This can be done in several ways depending on your personal preference. First, use a general plan of associating the simulacrum with the planets, by imagining them along the spinal column from Saturn at the base, to Luna and Sol at the head. Imagine them in bright white light, or the Queens Color Scale. Using the colors, symbols, and sounds of the planets, the simulacrum can be tincted with particular qualities and virtues. Or imagine counterparts of physical organs inside the simulacrum and them having the colors and sounds of their planetary counterparts, filling the whole image with the light and sense and virtues of that planet. This is the Lunar, or Astral purification of the simulacrum so that it can be rightly called a Silver Body, as it will be influenced and influential upon the Lunar and Astral worlds as a whole. At some point you can then begin to educate it further, that it might become a Solar, or Golden, Radiant Body, influenced by the Briactic Worlds. Beyond this, it would find perfection in the Diamond, or Resurrection Body, under the influence of the Sphere of Saturn. Also, practice performing the Middle Pillar inside the simulacrum, after it has been projected. Always reabsorb the energy, either as a mist, or a shadow image fusing itself into your earthly body. When venturing into the Quarters, use the simulacrum and tune it to the Element you seek to explore, making it a body of Fire, Air, Water, or Earth. When generally projected, it should be thought of as a body of Quintessence, or Spirit, of dynamic electric and magnetic qualities containing within it the balanced potential for all bodies of the four Elements. The simulacrum can also be projected and modified to a deific image or godform. The effects of this are different than the usual methods for Assumption of the Godform. In this instance it is helpful to grow the image in size and stature to a larger than normal appearance after it has been created. It is important that your consciousness be projected firmly into the simulacrum during any working, and that the energy be completely reabsorbed after it is over. The simulacrum can be charged with Hebrew letters. Engraving them according to there location and association with the physical organs as outlined in the Sepher Yetzirah. This can be done to the physical body as well, prior to projection of the simulacrum, and will assist in its creation and projection.9) The letters can be done in blazing white, or according to the Queen’s Scale. It can also be charged with the Tetragrammaton, in the normal Y (Head) Heh (Shoulders) Vau (Spine) Heh (Hips Feet) fashion. As with the alphabet, they should be seen as existing inside the figure, glowing and strong, and not carved on the surface, or projected onto it from elsewhere. The purpose of the simulacrum is to create a vehicle for the purification and expression of astral (Yetziric) and mental (Briah) energies. As such, it also acts as a bridge between not just our objective and subjective worlds, but also between our emotional and physical realities. As stated, we can in effect, alter our physical appearance and health through proper and loving purification of our astral matrix. The Nephesch, which constitutes the bulk of the ‘self’ that we are refining in this work, overlaps and connects the worlds of matter (forming our Salt) and mind (forming our Mercury). When we address it from the perspective of our Kether, we are adding the third Essential, or the overlap of Mind and Spirit (forming our Sulfur). These Four Qabalstic Worlds and their overlapping, forming the Three Essentials, form the basis for inner and outer alchemy. The 27th Path is also a sort of Kundalini Yoga exercise, whereas the 24th Path is the arousal of Kundalini. Where the 27th connects Natural Energy to the Intellectual World, the 24th Path converts Solar (soul) energy into Natural (psychic) energy. Both are under the influence of Mars, or Will, as they reverse the flow of Mezla, and clear out psychic blockages on the Path of Return. This exercise will have secondary effects on the 24th Path, and some effects on the 28th Path (Net-Yes) as this Path governs the flow of Psychic energy through our Psychic centers. All of the Paths of Yetzirah will be effected to some degree by this exercise. We cannot ascend and take our mistaken ideas with us, or our passions and lusts. Both are eradicated, disciplined, or redirected by the Sword of Geburah, or an Enlightened Will. The Lightning Bolt on the tarot card the Tower, sometimes called the House of God (Deu) or Fire (Feu) shows us that the ever flowing lightning bolt of Mezla will destroy any imperfections that it comes in contact with. The Magical Personality is defined as a self-created image of one’s self that allows for greater power and presence when doing esoteric work. See: Fundamentals of Esoteric Knowledge, Lesson 1-3. The Philosopher’s of Nature (PON), Wheaton, Ill. ©1988. See: Qabala Course, Lesson 17. The Philosophers of Nature (PON), Wheaton, Ill. © 1995. For more information on Pathworking see: PON Qabala Course, Lessons through . Highways of the Mind by Dolores Ashcroft-Nowicki, and Magical States of Consciousness by Melita Denning and Osborne Phillips. As mentioned, in the Hermetic Order of the Golden Dawn, the Hermetic Rose+Cross and the Pantacle of Earth are ‘adept level’ tools. In The Philosopher’s of Nature (PON) Qabala Course, they are not constructed until the very end of the six year course. However, the Supreme Pentagram and Hexagram rituals are presented in the second year. Use of the ‘Elemental Grade Signs’ or the ‘Rending of the Veil’ is at the performers discretion. One student who did this noted that the simulacrum was more vital, but also slightly more difficult to control. They also noted, they when they imagined the letters within their physical body when falling asleep, that astral projection occurred rapidly, often before the fifth or sixth letter was reached.